Happy Friday everyone! We made, it, the week is done, the weekend is almost here and I think that my friends is something to celebrate. Today I am sharing the Home decor & DIY blog news, inspiring projects from this week! This is something new I will be doing every Friday, a home decor blog news update. Let’s call this the equivalent of celebrity gossip, except instead of talking about what someone is wearing or who they are dating we are going to talk about what bloggers created! 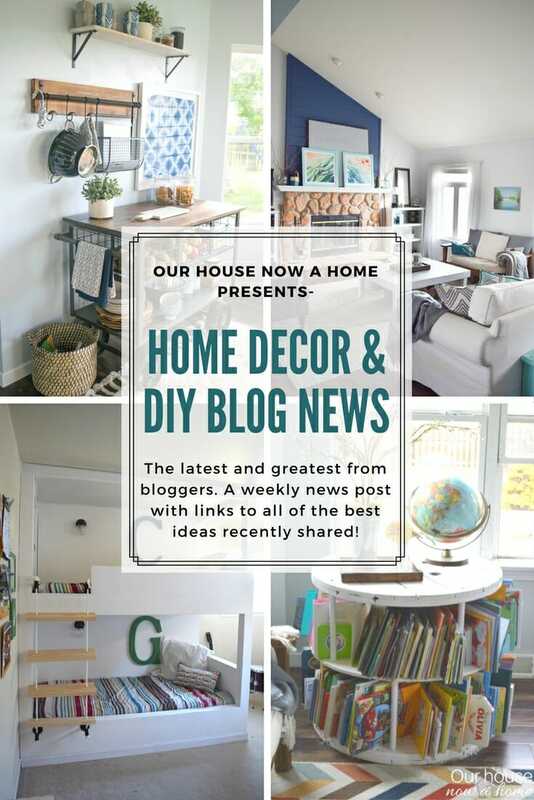 The home decor blogging community is amazing and so supportive, so I wanted to toot all of these talented ladies horn a little, share their inspiring ideas with you all! Each Friday I will be sharing their latest and greatest from the week. It may be a specific theme for one week, a specific decorating style, or just some ideas that caught my eye. The best part about this is that it has now become my job (self appointed) to peruse other blogs, stalk their homes and drool over their ideas! Now you all can see it too! Be sure to visit the blogs itself to see the complete post with all of the information! This amazing bench with storage was created by The Palette Muse as part of this months $100 challenge. This is week three, so next week is the final reveal of the breakfast nook. I am loving the colors and patterns on this seat cushion, you know I am all about the blue! Also, storage, we all need more storage in our lives. This bench is an Ikea shelf, which makes it so simple to create! You can see the details here. 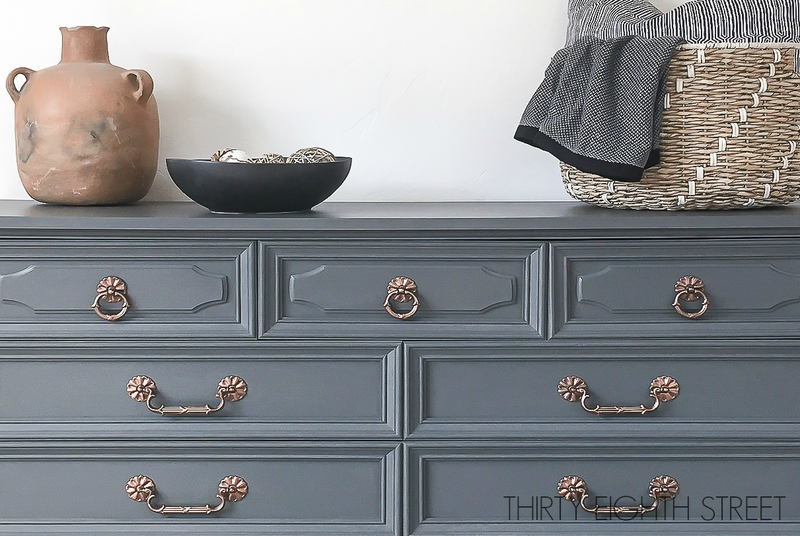 This gray dresser that Thirty eighth street painted is stunning! I have painted a lot of furniture, redoing furniture is a favorite things for me to do. This tutorial shares how to paint using chalk paint. I know that most people love the idea of painted furniture but are never sure how to begin, where to start. It is all explained so easily in the post, that you can find here. You ever see a home, or visit someone at their house and their decor stops you in your tracks? The Honeycomb home has one of those houses! She is sharing her fall home tour and it is stunning! I love the farmhouse and neutral feel to the decor, it is so calming. I feel like I can take a big deep breath and relax in this space. Also, there is a Kirklands giveaway which is crazy exciting! I have already entered and have my fingers crossed. You can see the fall home tour, enter the giveaway and also a bunch of other home decor bloggers with their fall home tours here. 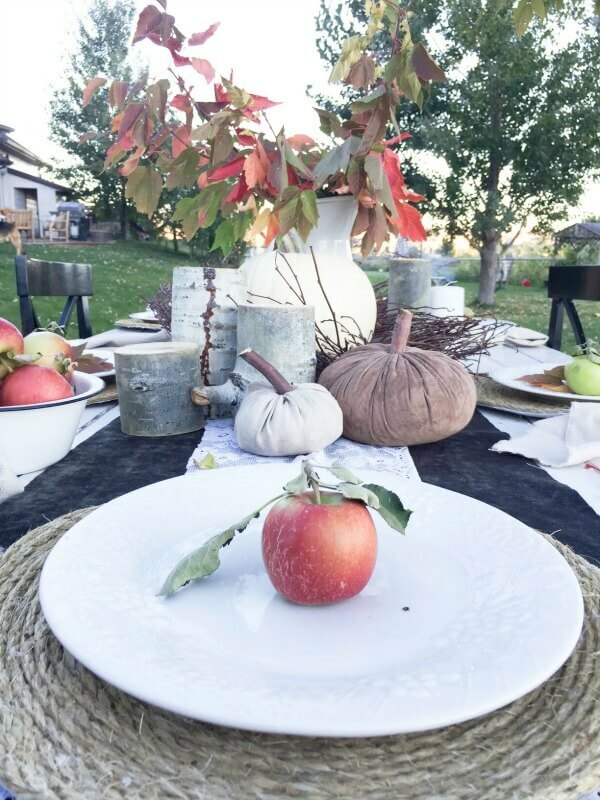 I love it when I find a blog post that shares a ton of ideas, Twelve on Main gave 6 different ideas to decorate a fall table! Yep, not one but 6. They are all stunning, cozy and full of fall beauty. I love that each one has a different look to it, also that some of them are not traditional fall themed. So there is a lot of creative ideas for a fall tablescape. You can see all of the ideas here. Oh pillows, I can never get enough of them! I literally have so many on my sofa that when we sit on the sofa half of them end up on the floor, but they look so dang pretty on there. Our crafty Mom made the cutest throw pillows. I like that they are so simple to make, that is the best kind of DIY projects. You can find out how to make these pillows here. I am all for options, I decorate and redecorate my home a lot, A LOT! I love the idea that The Aspiring home did of creating this cute wreath and then sharing three different ways it can be easily changed up. The colors of this are great and because of the colors used this can work for a few different seasons depending on what she styles it with. You can see the options and tutorial here. This is a little different, at The Brick nests this dining room got a small update. 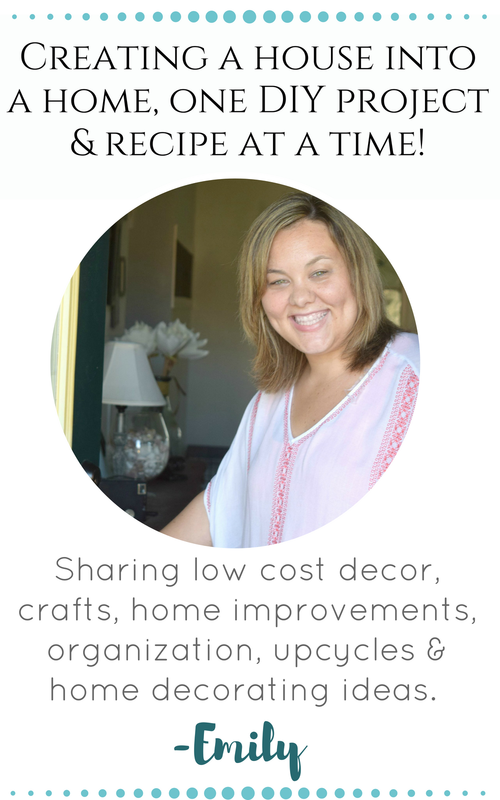 What makes this post different is that Jillian and Lisa are sharing about their decor coaching, with the dining room being one of their clients. I love that they give consultations to help people fall more in love with their home. They share all about what they do to help a client change up their home with just a few changes. You can see the before and a detailed explanation on how they made the dining room shine here. I love a good makeover, and this fireplace redone by Lovely Etc. is pretty much all of my favorite things combined. 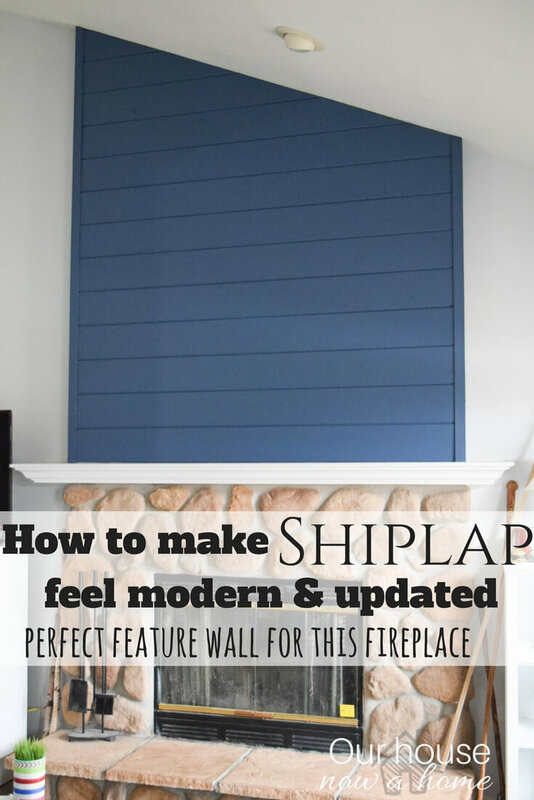 We have blue, a rustic feel, wood, and a low cost project. Yep, this is my happy place. 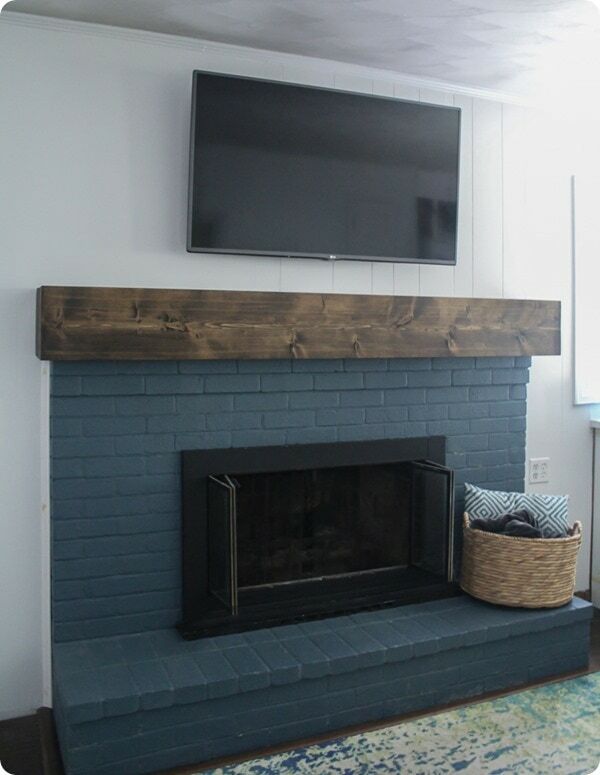 This fireplace is part of the monthly $100 room challenge as well, the family room being the focus for this month. 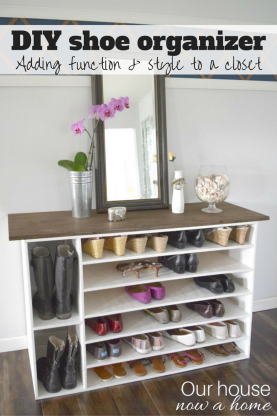 Projects like this get me antsy to break out my power tools and make some big changes to my home. You can see the amazing tutorial with before and after pictures here. 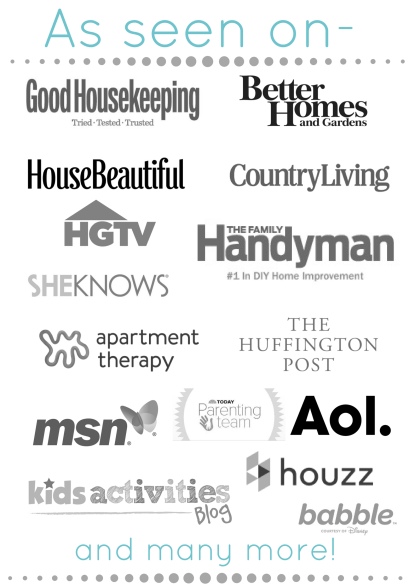 Oh guys, I could go on and on with these lovely bloggers and their beautiful homes. I had so many blogs I wanted to share and ideas that made me go googly eyed, but I can only share so much here. 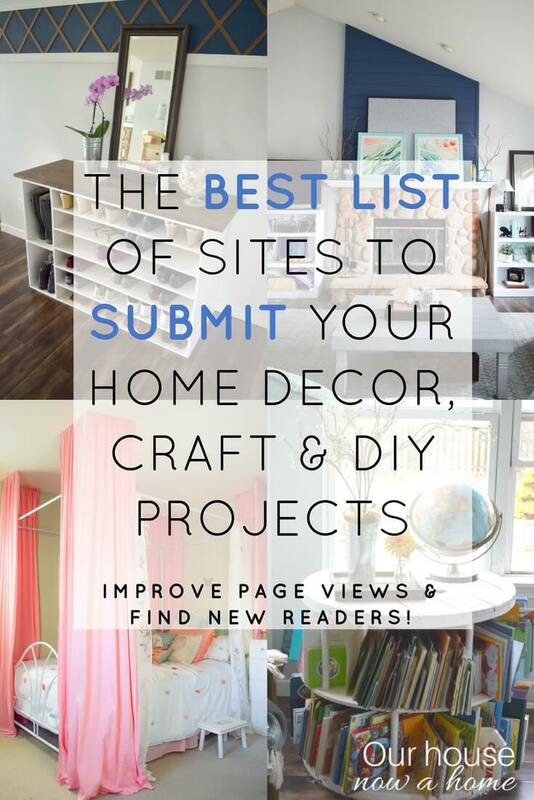 I hope you enjoyed the first Home decor & DIY blog news, inspiring projects from this week! I know I enjoyed looking at all of these amazing ideas, and I am both equally inspired and side eyeing a few projects I have not found time to tackle. Now that I see these ideas I am wanting to go head first into getting them done! Next week I am sharing my fall home tour and a ton of fall crafts are coming your way. Have you seen any home decor that blew you away this week? Are you a home decor blogger and want to share with me what you have been up to? Share the link here in the comments or tag my on social media, let me see what you have been working on! Those stenciled pillows are so fun! This post is just filled with great ideas! I just love this decor! I’m always impressed when people’s homes look immaculate. With two kids, mine will never look that way. I am pretty terrible at decorating, but I always admire other people’s decor. So much inspiration in one post – I love it! 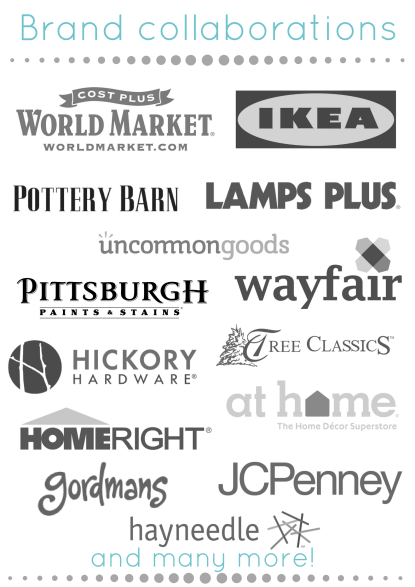 From the beautiful fall decor to how to paint furniture – there is something for everyone. I will be looking forward to your Friday posts! 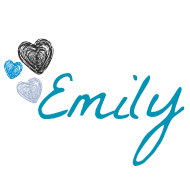 I love this new Friday talk, Emily! You found some great inspiration to share with us. AND I chuckled at the “not dating….” part. Have a wonderful weekend! Love everything farm house when it comes to decorating. 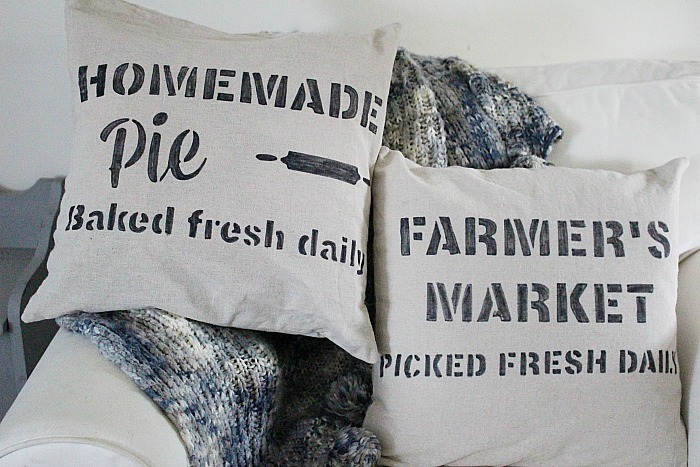 Those stenciled pillow are all the thing right now. I love that you will be doing this from now on! I really am so looking forward to decorating this fall – all the pumpkin pillows just waiting to be pulled out from the closets! Thanks for all the inspiration! I love all the decor you have done. This place looks beautiful. I need to hire you to decorate my house. We don’t even have pictures up LOL. These are beautiful home decor ideas! I’ve been decorating for fall, and I have been looking for ideas. Loving these. I’ve been following the Fall Home Tour thanks to Lynn from Back to the South http://backtothesouth.com/fall-home-tour-2017/ I’ve seen some fab DIY ideas for Autumn. Oh my goodness what a cosy looking range of decor. I am loving all the storage you have going as well! I really like the covered bookcase and those stenciled pillows are adorable. I need more pillows in my life. I agree that the stencilled pillows are adorable but I adore the shade of blue in the fireplace. Would love to paint our front door that shade. Oh, I love all of these! I think my favorite is the breakfast nook bench. We just moved to a new house and this is giving me so many cool fall decor ideas. Thanks for sharing them! Those stenciled pillows are amazing! I love the simplicity of this decor. These are some really innovative and creative ideas. Will definitely take a leaf or two from them when we do a makeover for our house next year. These are all beautiful home decor ideas. This post was a bit hard for me to read as we just had to leave our home due to damage from hurricane Irma and currently are staying with family. I will bookmark this though as I am hoping we can find a home soon and I can’t wait to start decorating it. So many cute home decor ideas here! I absolutely love that book nook bench, and that gray dresser is just stunning! Hey Emily, I love having so many fantastic ideas in one place! Thanks for rounding them all up and sharing. Wishing you a fantastic fall weekend. Fall is certainly in the air! I love peeking at what everyone else is up to and getting inspired. Thanks for sharing. I love all the projects you included here. My fave one is the stenciled pillows. I love how rustic farmhouse they are in style- perfect for my living room. I’m obsessing over fall tablescapes right now. I can’t wait to get my finished! This is such an inspiring post. You covered a lot. I always look for fresh and new home decorating ideas. I’m so excited to see you included my Stenciled pillows!! Thank you so much! This is such a great idea! I am loving your ideas! I’m always in the mood for a fun DIY – these are getting me super inspired! I can’t wait to try one of them out! All of those are amazing ideas. I would love to do that stenciled pillows as my eldest daughter loves doing anything arts and craft related. Lovin’ all these ideas! Will be following along very Friday for inspiration!